Tom Fitton, the president of Judicial Watch, argues there’s enough evidence to arrest Hillary Clinton for mass corruption. The amount of information obtained through Clinton’s emails is so damning that it’s enough to “put her behind bars for decades,” he says. Her mishandling of classified information found on Anthony Weiner’s laptop is so overwhelming, he says, her arrest should be imminent. That is if the law is applied the same to the Clintons as everyone else, which have already seen it is not. 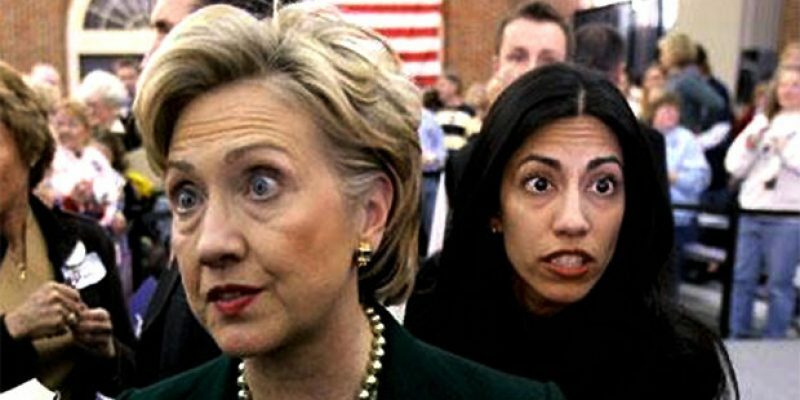 Weiner’s wife, and Clinton’s aide, Huma Abedin, breached national security protocols by transmitting highly classified information and passwords through her Yahoo email accounts. As a result, Fitton says the Justice Department should immediately launch a serious investigation and prosecute both Hillary Clinton and Huma Abedin.